When GM decided to cancel Pontiac almost a decade ago, it was the final punch in the gut to Firebird and Trans Am fans. For at that moment it was apparent a new Firebird or Trans Am would never return to production. Even though the Firebird and Trans Am saw its last production year in 2002 and Pontiac lived on for another 7 model years. Fans hoped a new Firebird or Trans Am would return especially when Chevrolet showcased the 5th generation Camaro concept car before Pontiac was cancelled. The Firebird and Trans Am shared the same GM f-body platform with the Camaro. Chevrolet released the 2010 Camaro which was the first Camaro in almost a decade, it was an instant success. Fast forward to the 2017 model year, the Camaro is still going strong and is still selling well. Though a few entities have developed their own new Camaro to Trans Am conversions. 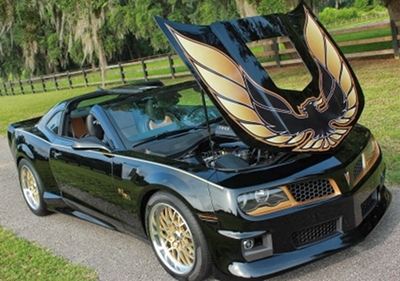 The most famous being the 2016 Bandit Edition Trans Am produced by Trans Am Worldwide. Only 77 were made for 2016, the pricetag was in 2016 Chevrolet Corvette Z06 territory. Back in May 2015, a writer for GM Inside News, username “MonaroSS”, wrote a very insightful OpEd article proposing the idea of reviving the Firebird or Trans Am under the Buick brand. This article makes a very strong case that Buick GMC dealerships do not have a performance car to sell and that a new Firebird or Trans Am built on the current 6th generation Camaro platform, would give Buick the performance car it desperately needs. Not having a performance car for an auto brand is bad business. It’s proven that sports cars bring new customers into new car showrooms. Some of these customers will buy the sports car, while others will end up buying another car from that automaker while they are at the dealership. Said another way, the Chevrolet Corvette has had very strong sales for many years and it attracted many buyers to Chevrolet dealerships who ended up buying another Chevrolet model. 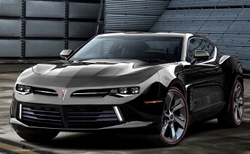 Having a new Firebird and/or Trans Am in Buick GMC dealerships would increase foot traffic and thereby increase sales. Not to mention how it would increase the appeal and performance credentials of the Buick brand. The Firebird and especially Trans Am is one of the most revered American performance models ever produced, with the mid-to-late 1970s models being the most popular of the bunch. The revival of a Firebird or a Trans Am if done correctly would be a big seller, a new Trans Am with a big bird decal on its hood would be a sure winner. 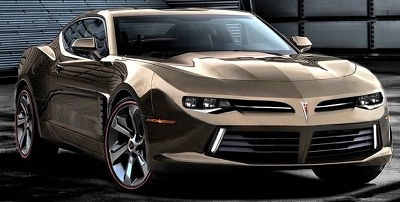 The Firebird and Trans Am would be unique enough that they wouldn’t cut into Camaro sales which is probably the biggest factor why a new Firebird or a Trans Am has not returned. In recent years there has been talk of Hollywood remaking the 1977 classic film, Smokey and the Bandit which made the 1977 Trans Am Y84 black and gold edition an instant classic. Same is true with rumors concerning the revival of a new Rockford Files TV show which made the 1977-1978 gold Firebird Esprit another instant classic. What would be better than a new Smokey and the Bandit movie with a brand new black and gold 2018 Trans Am and a new Rockford Files TV show with a brand new gold 2018 Firebird? So GM what are you waiting for? It’s time to give Buick back the performance reputation that it deserves by reviving the Firebird and Trans Am for another long run.